This article was written by Matthew Foltz, who is the manager of the Macrofungi digitization project at the University of Michigan. We commissioned this article because most of the labels that are currently available for transcription in Macrofungi are from this institution. The University of Michigan Herbarium has an unparalleled history of contributions to the scientific study of fungi, and also for contributions to bringing an understanding of fungi to a general audience. The University of Michigan Herbarium is internationally recognized as one of the leading repositories for natural history collections including Vascular Plants, Bryophytes (that is, mosses and related plants), Algae, Lichens, and Fungi. It has a rich history dating back to the late 1830s when state geologist Douglass Houghton conducted a geological survey of Michigan and deposited about 800 collections at the University of Michigan. The herbarium is now home to over 1.7 million specimens of plants and fungi collected from around the world, including about 280,000 collections of fungi. Figure 1. 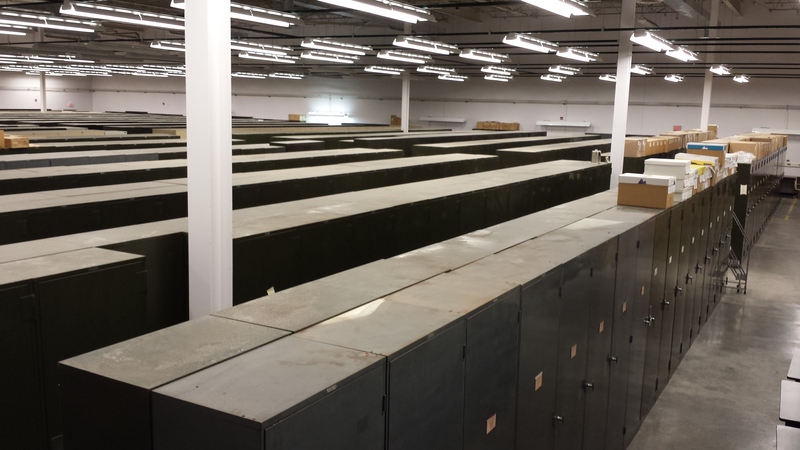 The University of Michigan Herbarium houses over 1.7 million collections in 1,200 cabinets in a 16,000 square-foot climate-controlled range. Photo by M. Foltz.llections of fungi. The University of Michigan Herbarium has strong roots in mycology. 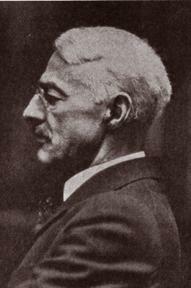 In 1921 the herbarium became its own department under the directorship of mycologist Calvin H. Kauffman. Directorship of the herbarium went on to several other mycologists in the 1900s including Edwin B. Mains, Alexander H. Smith, and Robert L. Shaffer. 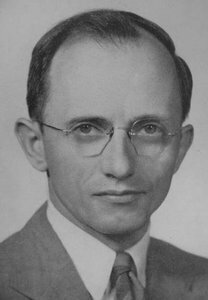 Calvin Kauffman was a mycological and scientific pioneer. His publication on the Agaricaceae of Michigan (as well as the series of fungal monographs that preceded it) was not only the most comprehensive for the state, but at the time it was also one of the best fungal surveys for North America. The family Agaricaceae contains the common grocery store mushroom. Figure 2. Calvin H. Kauffman. Photo courtesy of University of Michigan. To truly appreciate the impact that Kauffman and his predecessors have had on mycology, one needs to look no further than the Kauffman Lineage which is a part of Meredith Blackwell and Robert Gilbertson’s Genealogy of North American Mycologists. This lineage of education includes many of the most significant mycologists of all time, including some of today’s most prominent scientists. The fungal collection at the herbarium is strong in both Macrofungi (mushrooms and shelf fungi) and microfungi (molds and mildews, etc.). Kauffman’s work was strong in the agarics (mushrooms) of the Great Lakes region, but he also collected in many localities across North American and internationally. Alex Smith followed in his footsteps and went on to become a leading expert of the agarics as well as other groups such as the gasteroid fungi (puffballs, earthballs, stinkhorns, etc.) and the boletes. Like Kauffman, Smith contributed to both the Great Lakes region flora, and the North American flora. 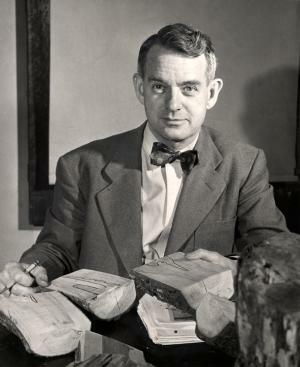 Smith was a prominent collector and deposited over 92,000 specimens at the herbarium during his lifetime. Figure 3. Dow V. Baxter. Photo courtesy of University of Michigan. The value and depth of the Michigan fungal collection is strengthened by Dow Baxter’s extensive collection of wood-decay fungi, along with collections of agarics from R.L. Shaffer and hypogeous (underground) fungi from R. Fogel. The Michigan herbarium also owns several classical exsiccati (historical sets of reference collections), as well as historically important personal collections from H.A. Kelly, H.C. Beardslee Jr., and many others. In addition to macrofungi, Michigan also has extensive collections of microfungi from prominent mycologists including Bessie B. Kanouse (discomycetes), E.B. Mains (Uredinales, Geoglossaceae, insecticolous fungi), L.E. Wehmeyer (pyrenomycetes), F.K. Sparrow (aquatic fungi), and others. Michigan mycologists have a history of supporting citizen science and collaborating with amateur mycologists and the general public. Alex Smith was an advisor and supporter of the premier amateur mycology group the North American Mycological Association (NAMA) in its early days. Figure 4. Alexander H. Smith. Photo courtesy of University of Michigan. Smith was a close friend to many of the top “amateur” mycologists such as Ellen Trueblood, Virginia Wells, Phyllis Kempton, and others. These mycologists kept detailed records and notes with their specimens, and these important collections and their ancillary materials are deposited at the Michigan herbarium. More recently, Robert Fogel, a past curator of fungi at Michigan, was one of the first mycologists to create a website for learning about fungi in the 1990s (Fun Facts About Fungi). The tradition of outreach continues today through the efforts of mycologist Tim James, the assistant curator of fungi at the herbarium. Recently, James has held lectures and forays for several amateur groups including the Michigan Botanical Club and the Michigan Mushroom Hunters Club. He is also leading the efforts at Michigan as part of the Macrofungi Collection Consortium, a nationwide project to digitize the fungal collections and make them available online to researchers and the general public. The digital records produced by that project are the ones posted here on Notes from Nature. Figure 5. 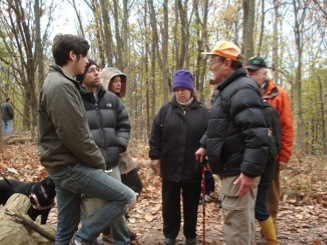 James lab (Umich) on a John Cage inspired mushroom foray with the Michigan Mushroom Hunters Club. Photo courtesy of T. James. On behalf of the University of Michigan Herbarium, we thank you for your participation in this effort to transcribe information from these historical records.